STOP! Don't throw that broken toaster in the trash! 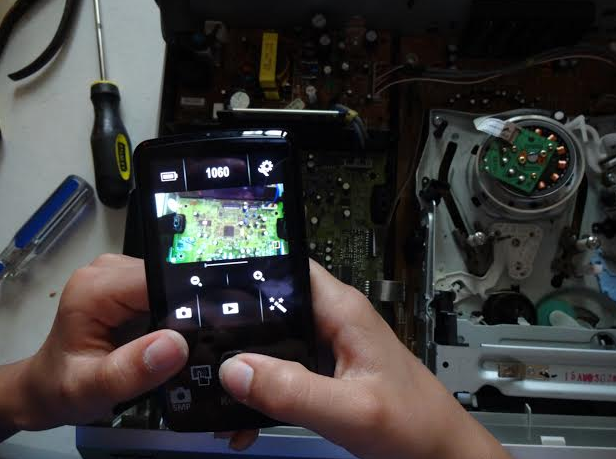 Don't discard that old radio that has stopped working! Instead, save them for your kids. 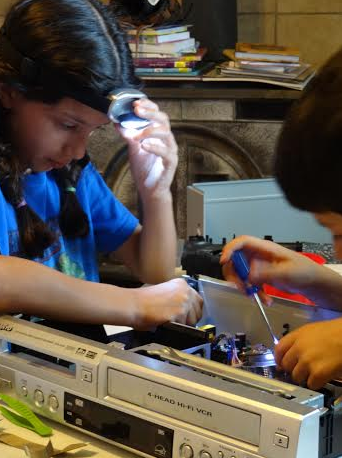 A few weeks ago, someone (the kids) lost the remote to our last DVD player, which was a super basic model that I bought because it was the cheapest available at my local store. On the front was PLAY, STOP and EJECT. So to pause, rewind, or fast forward you needed the remote. And I only bought that one because the DVD player in our original DVD/VCR combo had stopped working. But we still have quite a few movies on VHS, so I kept the broken device. Last week, I bought a new DVD/VCR combo. On Tuesday, I unhooked the ghastly tangle of wires and cords that connected all of my old devices to the TV, and finally figured out how to hook up the new player. I was about to throw out the old devices when inspiration struck. I looked at my kids who were tired of reading and complaining about being bored and begging to watch a movie. Instead, I gave them the old DVD/VCR combo and told them to enjoy. Next thing I knew they were scrambling for screwdrivers, headlamps, sorting containers, and tweezers. Then they spent the next couple of hours taking it apart. 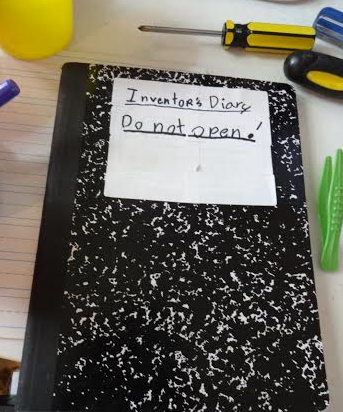 I love that my daughter pulled out her Inventor's Diary so she could take notes. She even grabbed her camera to take pictures. So next time you have something break, don't throw it out! Give it to your kids instead. CAUTION: Remember, that these device have tiny pieces that pose a choke hazzard, so they are not for small children to play with. 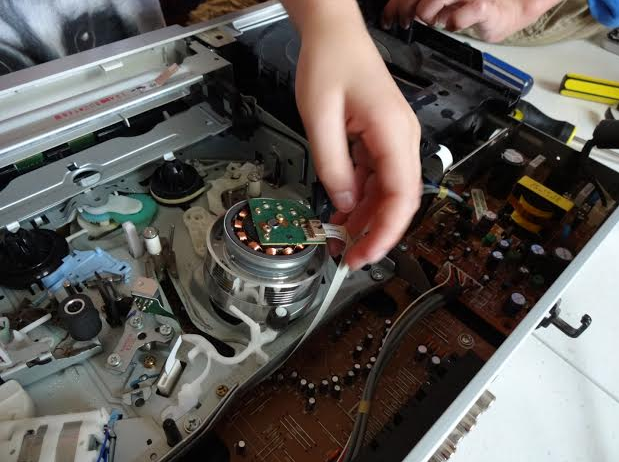 My kids are 8 and 10, so I would recommend that only older children be allowed to explore the inner workings of small appliances. 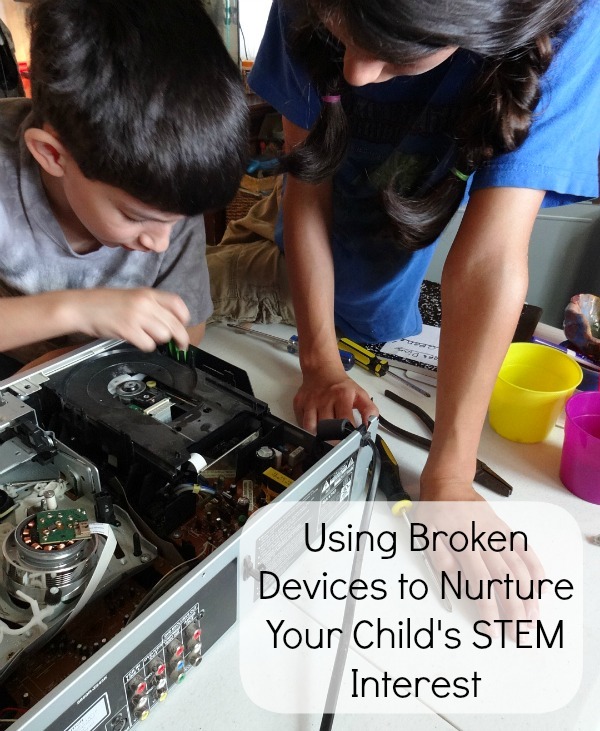 Make sure none of them have sharp parts and that they are NOT plugged in before your child begins to take it apart.